Professional exams and cleanings are critical to the well-being of your teeth, gums, and entire body. Dentistry is devoted to building healthy smiles, and we are pleased to provide routine care to patients in Greece and other parts of Upstate New York. To schedule an assessment of your dental hygiene, please call the office of Dr. Paul Sussman and Dr. Meredith Pogal at 585-227-4390 today. Our office is conveniently located at The Mall at Greece Ridge in Rochester. Good oral health begins at home. However, brushing, flossing, and eating nutritious foods are only one line of defense against tooth decay and other issues. It’s important to visit our dentists every six months for a cleaning. If you do need treatment, our dentists can use the information gathered from an exam to create a custom treatment plan. 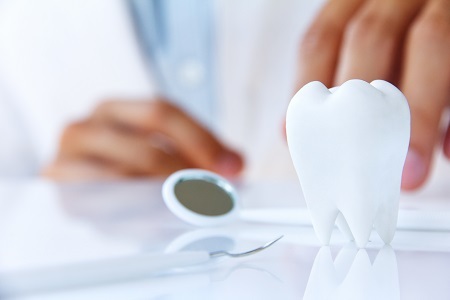 We offer a number of tooth repair and replacement options, as well as other services designed to maintain your oral health long-term while keeping your smile beautiful. By keeping appointments with our dentists twice a year, you will increase the likelihood of catching a potential problem in the early stages. If treatment becomes necessary, this will reduce time, expense, and discomfort. To schedule your cleaning and exam, please contact the office of Dr. Paul Sussman and Dr. Meredith Pogal or call 585-227-4390 today. We are happy to answer any questions about our Greece dentistry services before your appointment or during a free consultation.